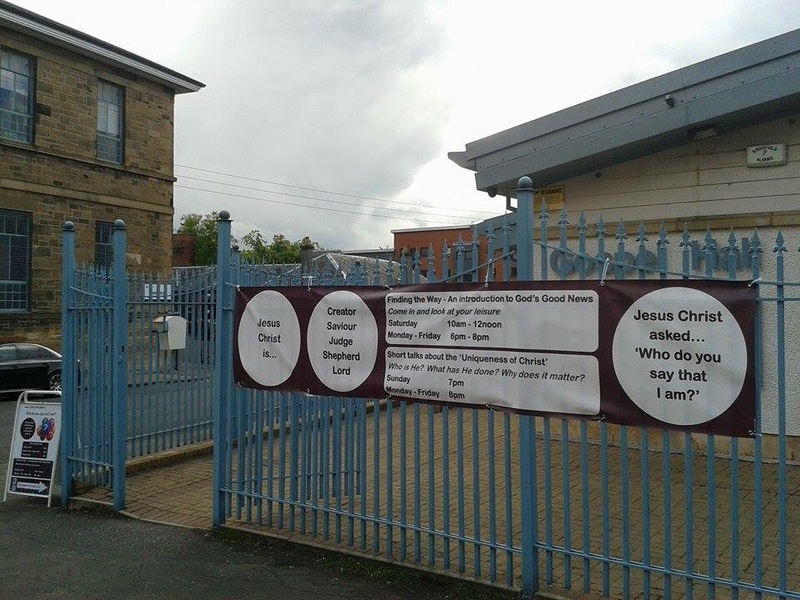 To coincide with new students arriving and to bring the Gospel to the wider community there has been a week of outreach involving an exhibition, talks, online blogs and street tracting. The talks have focussed on the uniqueness of Christ with tomorrow's talk focusing on Christ as Lord. A number in desperate need of salvation have heard the Gospel with some reading the scriptures at length in the hall. Others from different countries have spoken of themselves as backslidden and in need of restoration. Please pray with us for salvation and restoration of these men and women. Pray too that young believers arriving to study will be preserved, encouraged and grow spiritually whilst here in Glasgow.